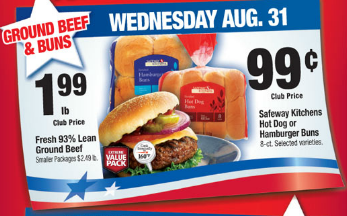 Here two AWESOME new coupons on Coupons.com tonight. Remember, print them now because they could be gone come morning! I found these under zip code 62946. 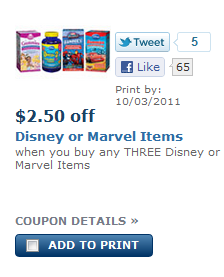 The coupon says “Save $3 on any Package of Pro Plan Cat/Dog Food, Any size, any variety”. Check for the smallest size you can find. As for using this coupon on the single cans, in my opinion, the cans are not a “package”. There’s also a $5/1 Pro Plan coupon here that can be used on single cans, but since there’s no coupon policy at the pet stores and overage may throw a problem, YMMV! 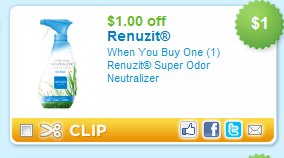 Hurry on over to Coupons.com where you can print $1/1 Renuzit Super Odor Neutralizer coupon (zip 90210). These are priced at less than $1 at Walmart and will be on sale for $1 at Walgreens as well. Final cost = FREE + $0.06 in coupon overage! Safeway: Ocean Spray Sparkling Drinks $0.50! Next time you head to Safeway, check out the Price of the Ocean Spray Sparkling drinks! You might be in for a great deal. The online price is $2. If you can’t find the MDA booklets, there’s a $1/1 Ocean Spray coupon on Facebook. https://i2.wp.com/savvywifehappylife.com/wp-content/uploads/2011/08/ocean-spray-sparkling.jpg?fit=394%2C147&ssl=1 147 394 Brandi https://savvywifehappylife.com/wp-content/uploads/2016/09/SavvyWifeHappyLife-logo-2.png Brandi2011-08-31 21:09:382011-08-31 21:09:38Safeway: Ocean Spray Sparkling Drinks $0.50! 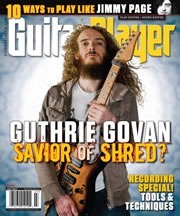 Head on over to request a FREE subscription to Guitar Player magazine from Freebiebiz Mags. Here’s another change to earn more Swagbucks and Amazon gift cards! Today through September 6th, you have a chance to win one of five Labor Day Collector’s Bills by searching on Swagbucks. You can see what bills you have by checking the “My Swag Bucks” area in your account. If you get all five, you’ll get a 10 Swag Buck bonus instantly applied to your account! Not a member of Swagbucks?! Sign up here to start earning Amazon gift cards! With the power being out and with me leaving for school, I forgot to post my latest CVS picture! This is from last week, I plan to go to CVS for this week’s deal when I get home this weekend for Labor Day. I haven’t gone after any of the ECB deals in a while, I’ve been relying on clearance and the Magic Coupon Machine for my deals! (1) Pull Ups Wipes $3.49 – Used $4 off diapers and Wipes from the Magic Coupon Machine and a $2/1 Pull Ups Wipes coupon = $1 Money maker! My total was just some change! Canvas People: FREE 8 x 10 Canvas (Just Pay Shipping)! It’s never too early to start planning for Christmas gifts and this one is so beautiful! Who wouldn’t want a beautiful canvas? If you’ve had professional pictures taken of your kiddos, why not get one of them framed for your living room or give to their grandparents as a gift! Or if your kid is an artist, scan and upload their art work so you have a beautiful canvas to display and treasure. The 8×10 canvas is totally free from Canvas People. You can go here and upload your picture right away. If you want a larger size, you get $50 off. You must pay for shipping and handling, which is $14.95. That’s really a steal for a custom canvas though! Canvas People make very high quality canvases! I love them! https://savvywifehappylife.com/wp-content/uploads/2016/09/SavvyWifeHappyLife-logo-2.png 0 0 Brandi https://savvywifehappylife.com/wp-content/uploads/2016/09/SavvyWifeHappyLife-logo-2.png Brandi2011-08-31 16:01:172011-08-31 16:01:17Canvas People: FREE 8 x 10 Canvas (Just Pay Shipping)! *Go through Ebates for 4% cash back!! 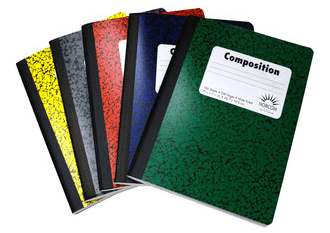 Walmart.com has a set of five 100-page Composition Notebooks for $0.40 total! Choose to pick it up in-store to score free shipping. It looks like you can order up to 60 notebooks at this price. If you’re having a Labor Day party, start stocking up! Make sure to check your local ad, prices and deals may vary by region.